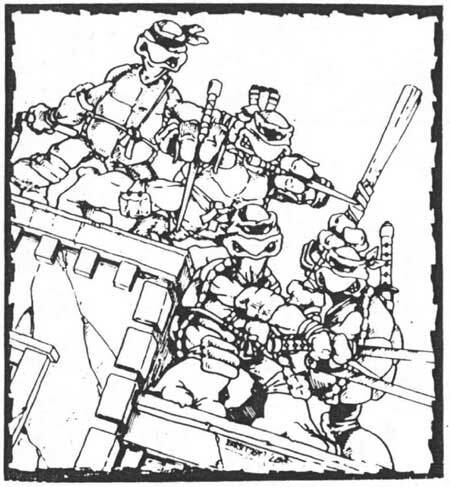 May 15, 1984 Kevin E.
Freelance illustrator Kevin Eastman has teamed with Peter Laird, 30, who has worked for newspapers like the Daily Hampshire Gazette in Massachusetts, and magazines and “fanzines,” for the parody they hope will sell. 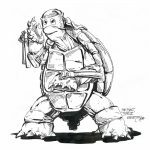 “We just wanted to do some kind of comic book and Kevin had this idea for a ninja character who was a turtle and he drew a sketch and I thought it was really clever and cute,” Laird says. 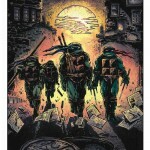 The two have formed Mirage Studios and “Turtles,” as they call it, is their first comic book. 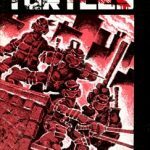 They have advertised the 40-page black and-white story that follows the hilariously satiric adventures of four teenage turtles who have been trained in the secret martial arts of the ninja, the shadow warriors of feudal Japan. 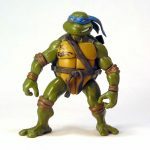 But the characters are also mutants, altered, as they say, “in form and intelligence by a mysterious radioactive ooze,” and trained by a super-rat who learned karate and the way of the sword from a Japanese master. Their mission: stalk the assassin of their master’s master through streets fi lied with Purple Dragons and deadly enemies. 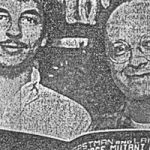 Laird says the couple chose their subject because both were comic book fans dismayed by the trend away from the more intellectual plots of the better “Superman” stories, and because they had also studied martial arts.Comic books for the serious student weaned on Superman, when he was fighting Brainiac and Lex Luthor, and for those who remember when The Justice League of America had the Flash and J’onn J’onzz instead of Halo and Black Lightning, have today become self-parodies. 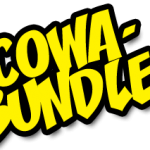 Even D.C. Comics, publishers of Superman, have given up plot for fake dazzle and pop graphics. 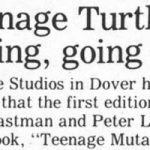 They chose teens and martial arts because “lately there’s been a kind of resurgence in the ninja, and the idea of turtles as ninjas appeared to our sense of bizarre humor. They are the last creatures you’d expect to be acrobatic and deadly,” he laughs. 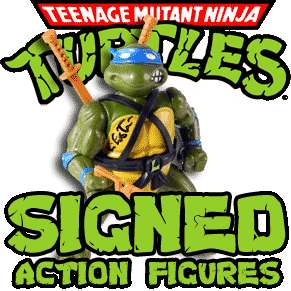 “Ninja Turtles” is “more of a parody of what’s happening in comics, there’s a plethora of teenage mutant superheroes. There’s some really bad stuff out there,” he says.